The soft-fruit industry in South Africa has its roots in the famous garden that the Dutch East India Company established in the heart of what’s now Cape Town. It’s believed that station commander Jan van Riebeeck planted the first quince trees in Africa from pips that he brought from Holland. Quince trees are often used as rootstock for other fruit trees. In our garden, we’ve grafted old-fashioned medlar trees onto some quince rootstock. 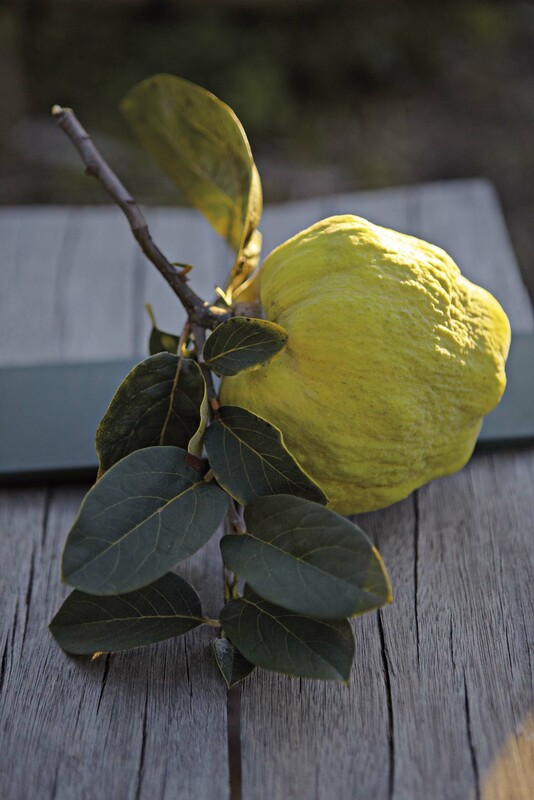 Our quince trees are espaliered and grow abundantly. In springtime they’re covered with white or pink blossoms. The immature fruit is green with dense grey-white fluff; this time of the year it ripens, and transforms into bright yellow fruit with fluffy skin. You’ll spot them in supermarkets everywhere now. Here are some clever ways you can use autumn’s “golden apple” in your cooking. Delicious with both sweet and savoury dishes. Preheat the oven to 140° C. Clean and slice 4 quinces in quarters or halves depending on size; do not remove the core and pips. ◗ Slice 8 firm but ripe medium Italian Roma tomatoes in half. Place quince and tomatoes in a roasting pan with lemon thyme and 2 bay leaves. ◗ Season with salt and freshly ground black pepper. Sprinkle with a little sugar if you like, then drizzle generously with extra virgin olive oil. ◗ Place in oven to roast for 2-3 hours. ◗ If the tomatoes are ready before the quinces are soft, remove the tomatoes and continue to cook the quince. ◗ Place in a sterilised jar and cool down. 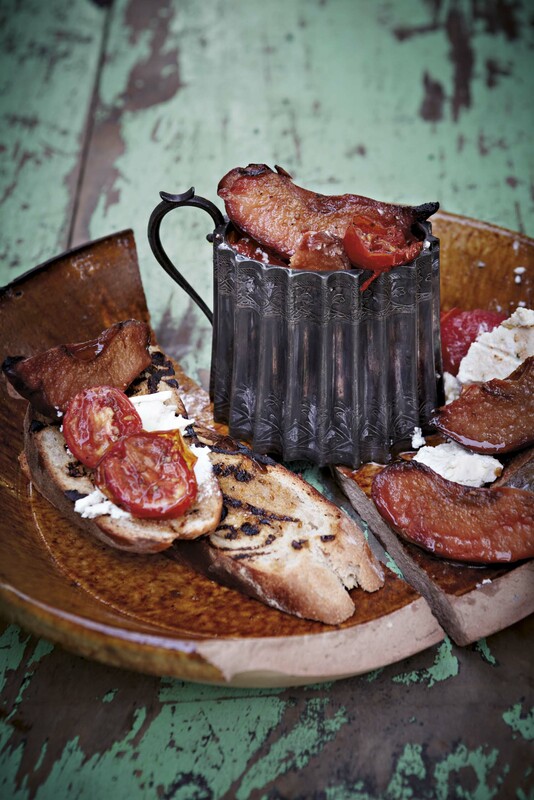 Serve with a triple-cream cheese such as Boursin or Brie on slices of toasted artisanal bread. Extract from our cookbook, Babel. Available in our online shop.